Over the last several years, gambling has become legalized in almost every U.S. state and territory. The state of New Jersey has long has legalized gambling, and now online gambling has made it even more popular than ever. It’s important to be able to determine where it’s safe to play online. Here are a few of the things that it’s important to know before they join an online casino in New Jersey. 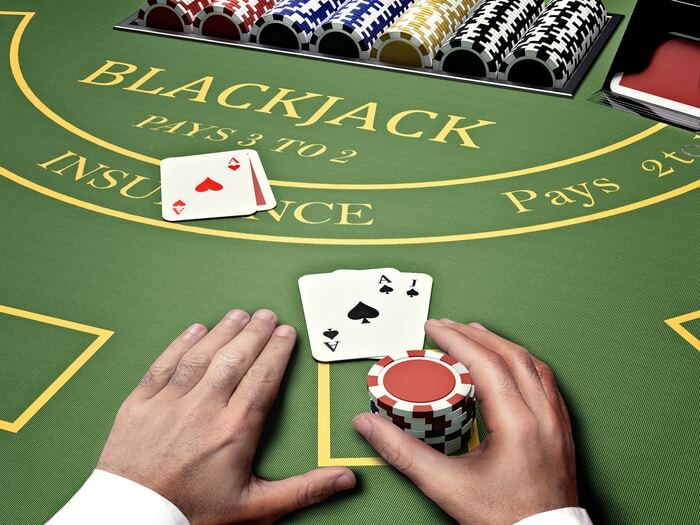 Whether a physical casino or website, legitimate operations are regulated by the government. This means that in order to ensure fair play, the owners, organizations, employees, and servers of those operations have to be inspected, calibrated and approved. New Jersey is especially generous with casino play and regularly posts a list of casino sites which meets their standards for fair casino game play. There are lots of online casinos offering a wide range of gambling play from the regular casino fare such as blackjack, slots, keno, sports betting and money bingo. Playing casino games online should be fun and you shouldn’t have to worry about getting into legal trouble when playing online. So, while it is legal for 18-year-olds to bet on the horses or dogs at the track, play bingo games at the local hall, or purchase lottery tickets, playing at a New Jersey approved online casino is legal only for those who are at least 21 or risk paying legal or financial consequences. After you have found a New Jersey-approved online casino, look for the seals which indicate it offers encryption to keep your account information and passwords safe. Most operations will feature information showing potential guests not only certification for their gaming software which is calibrated on a yearly basis but also keeps your information out of the hands of identity thieves. Online casinos have been hacked, so if you play at more than one site, try to use different usernames and passwords that are difficult to guess or to hack. Always play behind a firewall and consider using a virtual private network (VPN) to provide an additional level of security. Nearly every gambling website or online casino offers bonuses in order to attract new players or get existing ones to play more often. Before you transfer your funds to your online casino account, determine just how much you have to spend or play in order to get the bonus being offered. What may look like the best bonus package available anywhere online, may actually players to spend much more money in order to qualify. Look for sites which offer bonuses for lower transfer amounts in order to qualify for the bonuses. Also, many casinos will offer bonuses for those who play on off-peak times or days of the week. It doesn’t matter whether you are in New Jersey or anywhere else, playing responsibly is important. Most people know their limits and are able to walk away. However, some people do face challenges and need limits put in place so they can stop before they get into trouble. Almost all casino websites approved in the state of New Jersey have information and safeguards such as spending limits so they can play responsibly as well as knowledgeable staff who are happy to help.